Our new kitchen…be still my heart! It’s everything I’ve ever dreamed of! 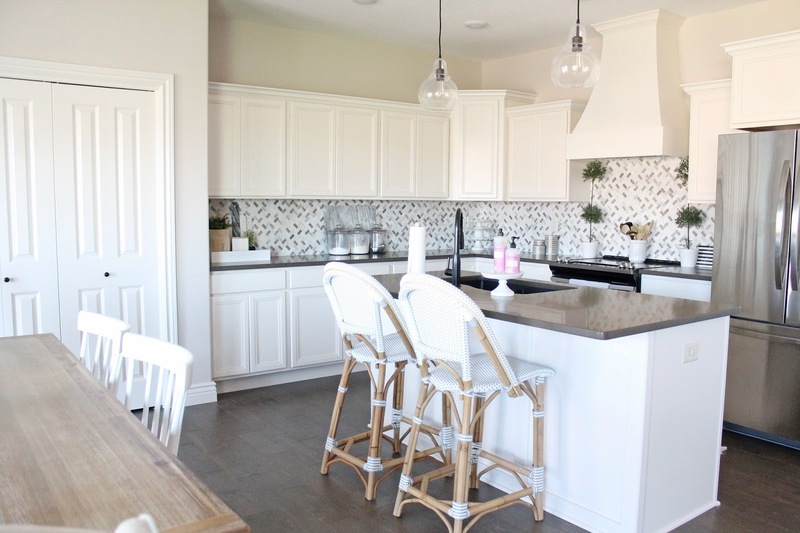 Beautiful white cabinets with crown molding, a gorgeous custom vent hood, quartz counters (don’t tell, but I would have picked lighter ones…but I’m not going to complain! ), and a soon-to-be marble subway tile backsplash (we are having it changed since this one is pretty but a bit busy for our taste). 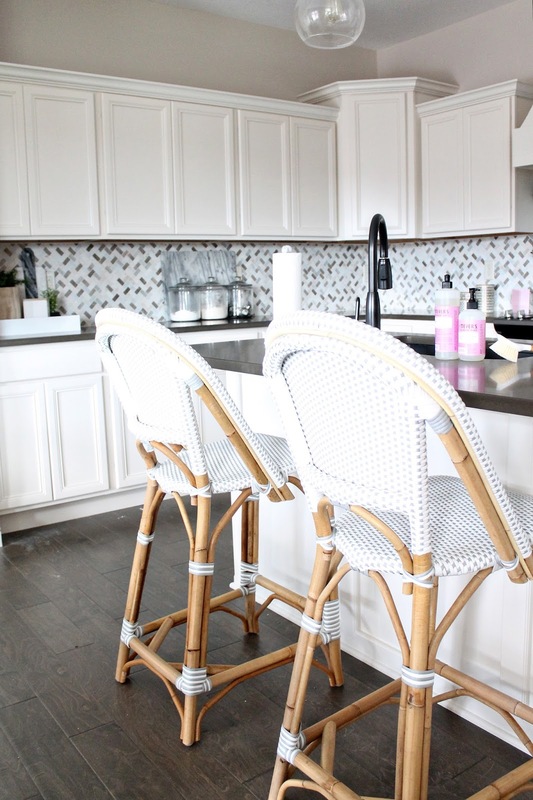 I agonized over which bar stools to put in this stunner, knowing they’d be like the jewel in the crown. There are so many beautiful choices out there, but I had a few details I really wanted. I knew I wanted them to have a back, for both comfort and kid safety, and I really wanted them to be white to break up the dark countertop a bit. Right off the bat, I fell in love with the Riviera stool from Serena and Lily. It had just the casual-modern look I was going for, had a nice tall back, was light and bright and added a touch of natural wood tones with the bamboo legs. But ya’ll know I love a bargain, so I looked everywhere to see if I could find something similar at a better price, with not much luck. Now that we have them in our home I have to say we absolutely love them! They are incredibly comfortable, with nice long seats so your legs aren’t dangling uncomfortably. We get compliments from everyone who comes over. I’m ultimately so glad I went with them! 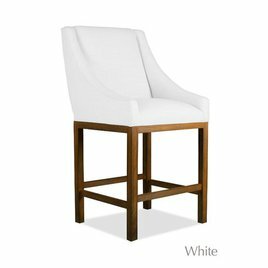 If you’re on the hunt for bar stools, I rounded up a few of my other favorites, since I’ve now seen just about everything out there haha! Which ones would be your pick? Thanks! Love that one too!